I think one of the hardest narrative tricks to pull off is writing a story to an inevitable conclusion. A conclusion that the audience knows is coming. Some authors want you to know; Shakespeare tells us that his two star crossed lovers take their lives in the prologue of Romeo & Juliet. It’s a tragedy and you’re waiting to see how that falls into place. Prequels suffer a similar pressure; we know what’s coming, but what happens on the way there. And if we're already emotionally invested in the outcome, maybe we won't care about what came before? David Lynch’s Fire Walk With Me tells the last week of Laura Palmer’s life; the object of Twin Peaks becomes the subject of the film. The dread comes from seeing what we know to be true come true. When Rise of the Planet of the Apes was released in 2011, it had a lot to live up to – The Planet of the Apes is a classic of the genre, as well as having one of the most famous endings in the history of film. In fact, its ending is so well known, people who haven’t seen the movie will still recognise the indelible image of the Statue of Liberty. But Rise also had a pitfall to avoid. Tim Burton’s 2001 remake was not very well received and for good reason – it had no real reason to exist. It seemed to have no purpose and no real point of view. Burton’s film also tries to outdo the original’s twist ending and it is laughable. 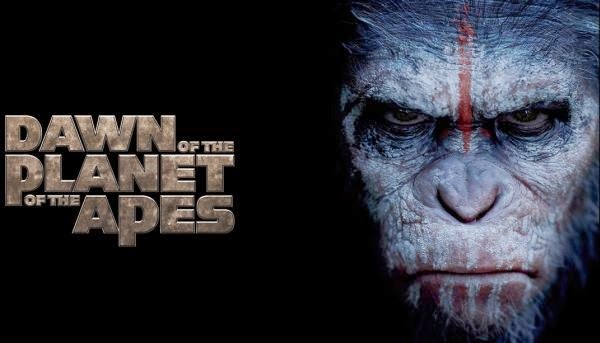 Rise and its sequel, Dawn of the Planet of the Apes, are playing toward the ending of the original film – there are seeds planted in the first prequel that will lead to an astronaut landing on the Planet of the Apes, in a film that is due in 2016. And to that end, we are watching a tragedy and the pieces fall into place. I think that’s fitting for a pair of films that is so critical of modern society and, in particular, our treatment of animals. They are not saying that war can be avoided. They are not saying we can defeat the worst parts of our nature. These films are saying that, well, power corrupts. In fact, even in ape society, they fish and subjugate horses. And there are apes that are in power and apes that want to wrest that power away. The parallels between the humans and apes in this story are drawn clearly but with subtlety. We are certainly not lectured to. And the filmmakers know that the best way to tell this story is to find a balance; in fact, much of the first act explores the ape society – the mere appearance of a human being is the first significant narrative turn in Dawn. But by then, we are emotionally engaged with Ceasar and his family and their society. Andy Serkis is stunning in the role of Ceasar, helped enormously by the CGI artists involved in bringing all the apes to life. Well, to be honest, the CGI is so life-like these days, some of those scenes might have been guys in suits. But don’t even tell me if you know. I think maybe they found apes who could act. Rise was a stunning achievement – a reinvention of the Apes mythology for the twenty-first century. Dawn is an even greater feat – building on what had come before, in Rise, and toward what we know is inevitable. The Planet of the Apes. Set for release in 2016.